Adventure Time: Explore the Dungeon will feature an original storyline that sends Jake, Finn, Marceline and Cinnamon Bun on an adventure to save the Candy Kingdom by exploring the mysterious Secret Royal Dungeon. Co-op allows four players to play through the main campaign together. Trickily-worded press releases hint that there may be more than four playable characters, but the list above are the only ones confirmed so far. 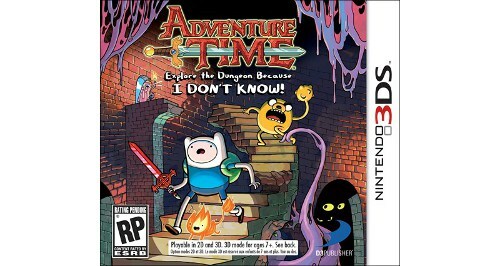 Look for Adventure Time: Explore the Dungeon Because I DON’T KNOW! on PC, PS3, Xbox 360, Wii U, and 3DS this fall. * Sources include a Magic 8-Ball, semi-sentient piranhas that live in our basement, and that guy behind the donut shop. Page created in 1.2488 seconds.